After rumors swirled of talks intensifying and solidifying between the Red Sox and free agent starter Nathan Eovaldi, the deal was finally agreed upon Thursday morning pending his physical. That's right, Boston fans, the stud isn't going anywhere. We now know that the deal is for four years, and most sources reported yesterday that it would most likely be for around $70 million total. Turns out that figure is $67.5 million. That's a pretty big raise on his $2 million salary from last year. Eovaldi, 28, was one of the most popular free-agent targets in the league entering the offseason after an incredibly successful playoff run with the world-champion Red Sox. 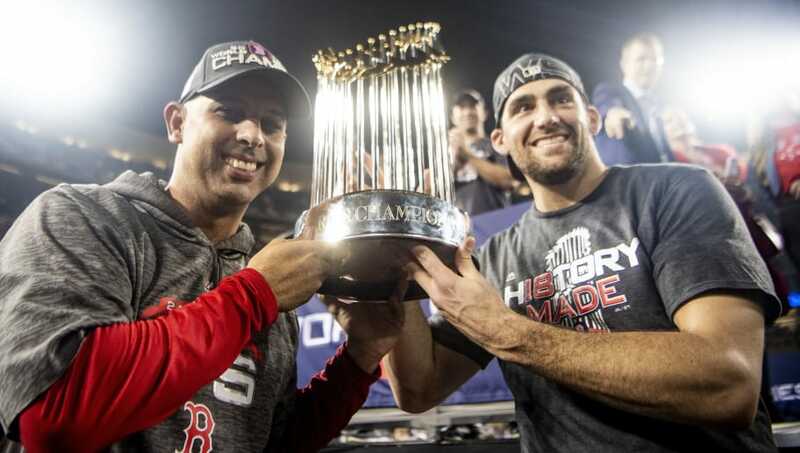 However, a few days ago, news broke that an initial field of around 10 teams had broken down into a two-horse race between the Sox and Astros. After missing out on Patrick Corbin, the Yankees were also expected to make a run at Eovaldi, but no cigar. After talking to Dave Dombrowski and Alex Cora for a few minutes, biggest takeaway is they really, really, really want Nathan Eovaldi back. Eovaldi was clutch in the playoffs last year, picking up wins in Houston and in New York, as well as having great success out of the bullpen four times throughout the ALCS and World Series. He had a combined 1.61 playoff ERA and was definitely Boston's biggest trade deadline acquisition. His signing directly following Corbin's with the Nationals isn't surprising. Corbin set the market, and Eovaldi, who has never been considered a very consistent starting pitcher, simply followed. The Red Sox felt that they had to have him back, and he was willing to oblige.